Another weeks has come and gone and brought us closer to Spring, warmer days and lighter evenings. On Wednesday we had lots of activities planned but at 10am our water went off and stayed off for the majority of the day which scuppered a lot of our plans. We spent the late morning making chicken and leek puff pastry pies with Dexter attempting to roll out the pastry with a rolling pin and cutting out circles with a ramekin. 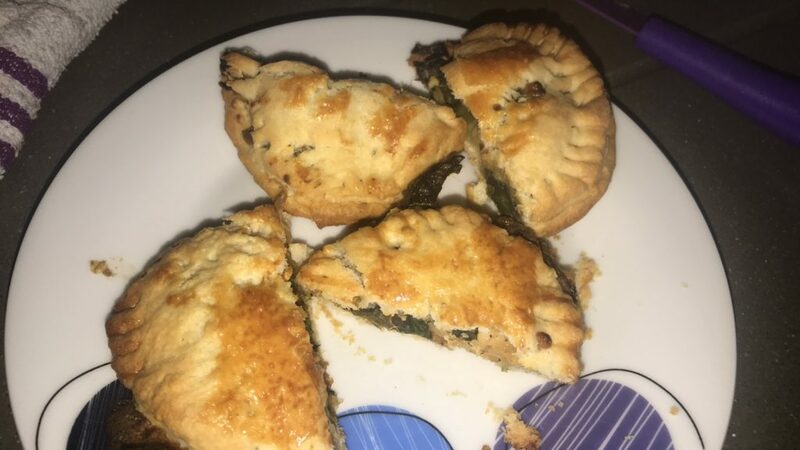 The result were some strange looking pies which tasted delicious nonetheless. We had a much more relaxed weekend than usual as we knew we had the following week off from work so it didn’t feel as though we needed to cram as much in as we usually do. Naturally on Sunday we spent the afternoon baking- this time a peanut butter and chocolate brownie in the slow cooker- and this week Dexter spent less time scooping raw eggs into his mouth and more time whisking and stirring. While trawling through Last.fm this week, I discovered one of my favourite bands, Phoenix, are playing in Manchester at the end of March which is just a few days before our anniversary and my birthday. After discussing with Neil, we decided we ‘d quite like to go and I asked my Mum if she would have Dexter overnight so we could make a night of it and stay in a hotel Thankfully, she has agreed so I have booked the tickets and am in the process of finding the perfect hotel for our night away (I am swaying towards The Midland, somewhere I’ve always wanted to stay!). It will be our first night away from Dexter in many months and the first we’ve spent doing something for ourselves since August 2016. Plus, I know he will have a lovely time with his Grandma. 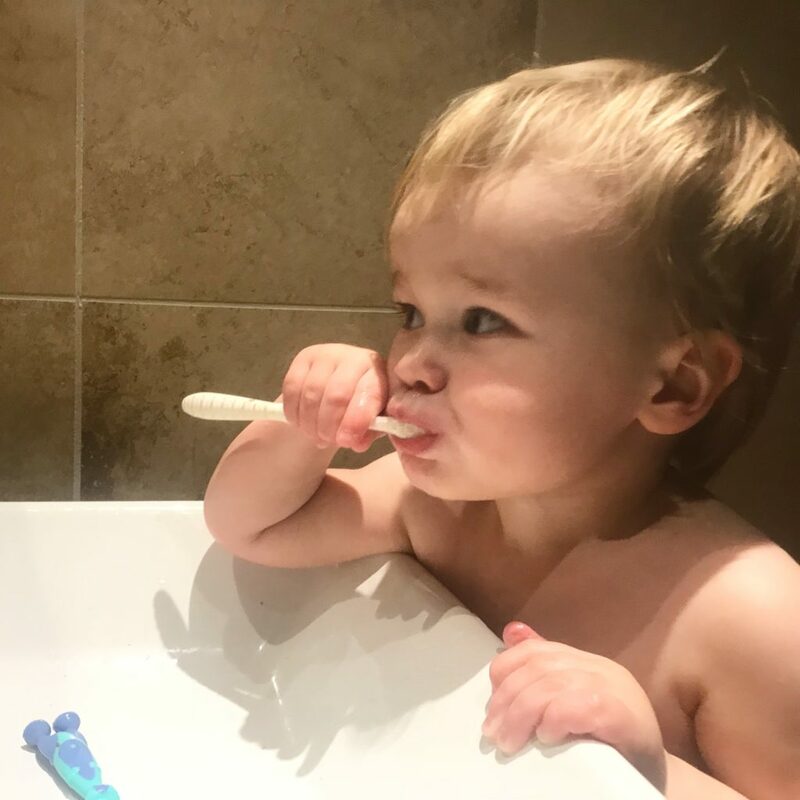 I really feel like we’ve cracked this teeth brushing thing with Dexter now and when he is at home h’es brushing his teef up to four times a day! We bought him a little plastic stool from Ikea last month and he uses it to get up to the sink and brush his teeth with his various toothbrushes. He has a pink one, a yellow eletric one, a green dinosaur one and a red Spiderman electric one. He likes sucking on the toothbrush mainly while I sit next to him and brush my teeth and then when I’m done I use a toothbrush to give his teeth a thorough scrub which he seems to enjoy. It’s such a relief to not have to battle with him each morning and evening. Dexter really loves his huge collection of books that I’ve been collating and this week I brought home three new flap books. It makes my heart melt to see him examining each page, lifting the flaps and pointing out to me what is underneath. I am so happy he loves books just as much as I did when I was little. He’s so cute with his toothbrush! We’ve been having a real love of books lately as well, it’s LOVELY!! Oh my heart melts when he brings me a book he wants me to read him! Love the phrase book rats. Learning languages bring so many funny phrases like that one! Ooh all your cooking and baking sounds yummy and so lovely that Dex (can I call him that?) likes to join in? Teeth brushing can me so hard to crack. My boys are finally in a flow with it and it’s no longer a daily battle, although my boys are quite a bit older. Haha, yes you can called him Dex. I call him everything but Dexter…Decko, Dex, Dwab and Dragon. We love nicknames in our house. Ahhh I am so glad to be closer to Spring! Another tasty treat I see – I am beginning to wish I lived near you to sample all of these amazing things. 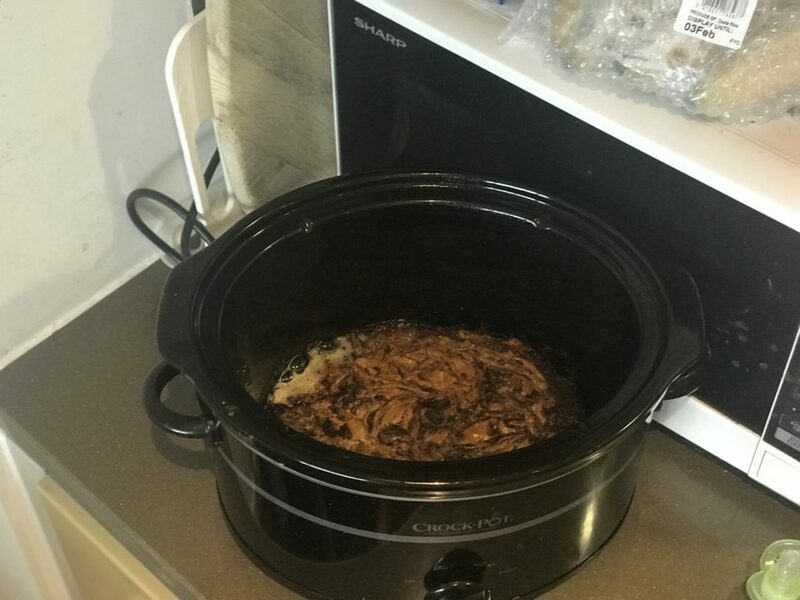 I love my slow cooker, but have never tried treats in it! I am super excited for you guys to have a night away together and at a concert too – sounds FAB! Ahhh you must try something sweet in the slow cooker! It’s the ultimate lazy way of baking goodies!